Imagine a world where open source never caught on, where no one thought it'd be a good idea to make source code available to anyone. In this episode, we imagine this bizarre possibility. And we celebrate the open source tools and methodologies that got us where we are today. Join us as we wrap up Season 1, an almost 30,000-foot view of how the open source world came to be. Next season, we're zooming in and focusing on the epic struggles of today's command line heroes. Voice Actor: In a world without open source, enforcers from the future travel back through time to destroy Linus Torvalds's computer. Saron Yitbarek: Oh, man. I had that nightmare again. The one where I've got these amazing ideas, but I can't develop them because there's no open source tech to work with. 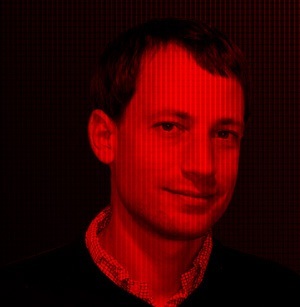 Tristram Oaten: I think a world without open source is almost bound to be evil. [00:00:30] been opened up again, I think that there'd be a lot less innovation for sure. Vaughan-Nichols: It would be a backward world. Hannah Cushman: I think there'd certainly be less smart refrigerators. Voice Actor: In a world without smart refrigerators. [00:01:00] life managed and taxed by a few megalithic proprietary companies. Gatekeepers at every part of the road. For us developers, a world without open source would mean far less freedom—and influence. All season long, we've been tracking the role of developers in an open source world. Our work has been evolving and expanding with the growth of the open source tools and techniques that make our work possible. [00:01:30] Whether it's the Agile Manifesto, the rise of DevOps, or container orchestration, the power and freedom we've claimed for ourselves is tied to that philosophy of open source. In our season finale, we're taking a step back and looking at how far we've come. As the world goes open source, how true to the original meaning of that term can we remain? And where are we headed next? 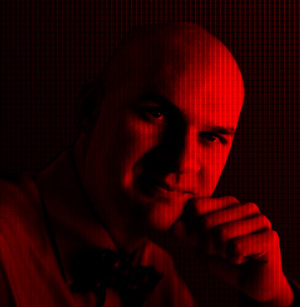 [00:02:00] podcast from Red Hat. 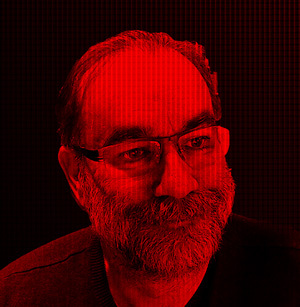 Vaughan-Nichols: A world without open source is not a world that I would want to live in, nor do I think that it is a world that the vast majority of people out there would want to live in. [00:02:30] at CBS Interactive and he's been following tech since 300 bits per second was a fast modem. Vaughan-Nichols: You may not be able to name a single open source program other than Linux, but you're current life is a life built on open source. [00:03:00] Things. It's in your phone, your web server, your social media, and oh yeah, it's running the Large Hadron Collider, too. And we developers aren't the only ones who've figured out the benefits of this stuff. Open source attitudes are now spreading beyond technology to influence other industries like economics, music, science, journalism. [00:03:30] scrutinize not just her published article, but her research and interview notes? It shouldn't surprise us, the philosophy that developers have been nurturing for years. The idea that everyone gets to see and comment on the code, copy it, offer fixes, it's actually a pretty fundamental thing, right? It's sharing. [00:04:00] has a net benefit for humanity. In some ways, open source technologies are now allowing us to get back to that basic truth. Hannah Cushman: I think that more things being open source kind of facilitates and encourages people to go back and consult primary sources, which is always good. [00:04:30] governments get compiled and made sensible so ordinary citizens can actually use it and take action. The tech they use is open source, but so is their attitude about politics. [00:05:00] not all, a significant portion of the water fixtures in all of their school and published the results of those tests as a series of more than 500 PDFs. Saron Yitbarek: So, that's great. But it's not exactly an effective way of making data open. [00:05:30] which you can run from your terminal, to extract data from over 500 PDFs and put it all together and help put this huge dump of information into a context that was useful for people. I think being able to consult that source data is a really powerful way for people to kind of understand where information is coming from and verify that it is, in fact, correct. [00:06:00] to look at the whole engine of city politics, and DataMade opens the hood. That means the people of Chicago have a better chance of bringing about the changes they want to see. Carol Willing, a research software engineer over at Cal Poly, thinks that this expanding open source attitude is the start of something much larger. [00:06:30] open hardware, to open government, to open education, open collaboration, innovation, so I think it's gonna continue to evolve. Saron Yitbarek: Open source is starting to look more like a law of nature than just some outgrowth of the tech world. [00:07:00] changed the world profoundly is the ability for groups to work together to build something bigger than what they could build on their own. [00:07:30] meaning something that's just free, or something that's crowdsourced, or even just something that's customizable. [00:08:00] some tasty open source right there. So, what was that original definition again? It's pretty simple, but we should keep repeating it. To be truly open source, you need code, or a blueprint, or a recipe. In other words, some kind of raw data that anyone can study, change, and redistribute at will. It's a philosophy that's just starting to revolutionize the world beyond our command lines. [00:08:30] is has been as successful as it has been and that I've gotten to be a part of it. [00:09:00] but also how many battles were fought along the way. [00:09:30] easier fights, the tougher ones came along. And with every single one of those, you saw sysadmins and systems engineers become more enamored of open source. Saron Yitbarek: Despite these battles, you couldn't deny the ongoing progress. [00:10:00] huge companies with household names—Intel, IBM, AMD, you know, every organization you can imagine has started contributing to open source projects. And it was absolutely a fight, there were so many arguments I had at various enterprise positions that I held where I said, "You know, we need to introduce Linux ® or other open source technologies into the datacenter." [00:10:30] some people, that's pretty unsettling. Thomas Cameron: We're able to share information and analysis, and so that scares folks who historically have been the ones to hold information and derive value from it, whether it's charging money or just having control of an organization, it's a huge change and with that comes fear. [00:11:00] long shot. Christopher Tozzi is the senior editor at Fixate IO. He sees open source disruption as the start of a fundamental shift in the way people everywhere, not just software, are going to work together. [00:11:30] innovations. Things like blockchain, which is also founded centrally on the ideas that databases, for example, or transactions could be more efficient or could be more secure if they're decentralized, if we get away from centralized modes of production. And again, open source I think today, ever since Torvalds came along, had been about decentralization of development in labor basically. [00:12:00] source. The developers who embody that philosophy, they're the ones who have the best shot at imagining that future. Here's Tristram Oaten, he's a developer based in London, and he's definitely thinking about that long game. [00:12:30] future that we were promised so very long ago. Hopefully, that will come into play so that entire houses can perhaps be open source. Saron Yitbarek: Tristram imagines a world where open source is the rule of the land and that means developers become, if not gurus, then at least guides. Really critical guides. [00:13:00] and more important, and it's going to get increasingly more and more like wizards if it isn't already. Saron Yitbarek: Okay, wizards. We'll be wizards. [00:13:30] in best faith, that the medical profession has a charter to do no harm and so forth. [00:14:00] and not against humanity. Saron Yitbarek: Let's all just promise right now that we won't build killer robots, okay? Okay. And beyond that, I do think Tristram's on to something. In some ways, we developers have seen the future and that means we've got a chance to help shape it. What are the ethics of open source development going to look like in 10 years? [00:15:00] open source could look like. Have a listen. When you think about the future of open source and what that looks like, what are some differences we might see? [00:15:30] there's been a lot of interesting progress in that space. [00:16:00] and the tools that we build? Safia Abdalla: The sad reality is that when you don't have the focus and time and energy and money to build something well for everyone, what you tend to do is just build it well for yourself. Saron Yitbarek: Mm-hmm (affirmative), absolutely. [00:16:30] blind, or hard of hearing, or disabled in other ways. [00:17:00] source might show up next? [00:17:30] knowledge and details about how to do something. So what you're really sharing is knowledge. [00:18:00] is gonna improve society's understanding of science and how far we can push research forward. Saron Yitbarek: When I was in college, I did biochemistry research and I was very much used to this passion for experimenting, for researching, for trying new things, but at the same time still being very protective over your discoveries because you need to be a published author. You need credit, that is a huge, huge part of moving up in academia. [00:18:30] So, when we're talking about bringing these open source principles of sharing and contributing and putting out unfinished products out there and hoping other people will fill it in, how do you see those principles possibly colliding in other industries where people might be more protective? [00:19:00] incentives have to be, for the most part, extrinsic. You can't rely on systems that encourage people to focus on their own goals and motivations at the expense of others, and at the expense of the greater good of society. [00:20:00] those systems will go a long way. Saron Yitbarek: Absolutely, so if you could recreate open source in its entirety from scratch, you could build it all over again, what would your version of open source look like? [00:20:30] culture or community that didn't issue that perception that you had to be elite or a fantastic developer in order to thrive and succeed, and that was one of the biggest things that deterred me. [00:21:00] technology companies and platforms that people use are mostly comprised of open source. Like, how many Rails web applications are super profitable and successful now. And I think it's important for us to ensure that those corporations have a stewardship to the open source community and recognize where their value is, and contribute it back. [00:21:30] accountability, and corporations contributing to the sustainability of open source. We have contributors and maintainers possibly being paid themselves for the work that they do, and generally a more loving and open brand for what open source is. Saron Yitbarek: Sounds like a great version of open source, I like it. [00:22:00] Project. She's part of a new generation of developers. But even she's coming at it with the expectation of open source by default, so I wanna give a shout out to that new army of command line heroes. You all are going to show us the future. You're living it right now. You're going to lead the charge. [00:23:00] but most of the open source projects out there are still maintained by volunteers. The work of open source isn't over just because we've graduated from rebel status. Multi-billion dollar companies are running on Linux, open source pioneers are now tech leaders, we need to track this trajectory and try to imagine what comes next. [00:23:30] source, once the disruptor, is not vulnerable to disruption itself. [00:24:00] computing really complicate in certain ways. Saron Yitbarek: How open source will open source be? Christopher mentioned cloud computing and in Episode 6, we described how becoming reliant on somebody else's datacenter definitely complicates the original goals of open source. It's tricky territory, and we're still learning the lay of the land. As we move forward, we're gonna have to remind ourselves about our roots. [00:24:30] Every young rebel needs that Obi Wan hologram moment. Will they get a reminder from the past? Here's what our Linus Torvalds once said, "In real open source, you have the right to control your own destiny." If developers helped to encourage that spirit in the bigger world, that's a pretty good job. [00:25:30] part of the landscape I live in. A landscape the developers who came before me have been shaping for decades. Now, I get to help shape what comes next. That's amazing. [00:26:00] tools and methodologies that brought us to where we are today. Sort of like the 30,000-foot view of how the open source world came to be. In Season 2, we're going to zoom in and focus on the epic struggles of today's command line heroes. We get to tag along each episode and see how developers on the ground are challenging the norm. These are the real life stories that shape the future of our industry. [00:26:30] And while we hunt those stories down, we'd love to heard from you. Tell us, what's your command line story? What epic open source battles have you been waging? 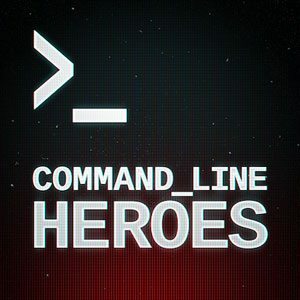 Go to redhat.com/command-line-heroes to drop your story. We're listening. [00:27:00] sessions, hands-on labs, and keynotes including one from yours truly all about open source. Hope to see you there. [00:27:30] Pocket Casts, Stitcher, CastBox, or however you get your podcasts. 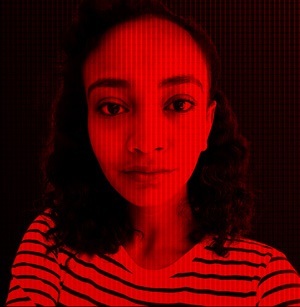 I'm Saron Yitbarek, thanks for listening, and keep on coding! Historian, researcher, and writer, most recently of "For Fun and Profit: A History of the Free and Open Source Software Revolution"
After each episode drops, we’ll send you commentary from the Command Line Heroes team, as well as links that help you take a closer look at the topics we cover. It’s as simple as that.